Incredible upgrades throughout this stunning home in Martins Landing! Must see outdoor space:2 decks, firepit, pergola, hot tub on 1.5 acre lot. The home has tons of natural light from the 2-story windows. Kitchen has large island, tile backsplash & granite. Cozy up by the fire in the large family room. Master suite: fireplace, deck, spa-like bath w glass enclosed shower & soaking tub. Finished basement: large rec room, bath & 2 bed. Swim, tennis, lake, clubhouse, easy access to 400 & Chatt. River. No need to lift a finger. Move in & start enjoying this amazing home. Directions:Take Oxbo Road, Grimes Bridge Road and Riverside Road to Martin Road. Follow Martin Road to Watergate Way. SchoolsClick map icons below to view information for schools near 420 Watergate Way Roswell, GA 30076. 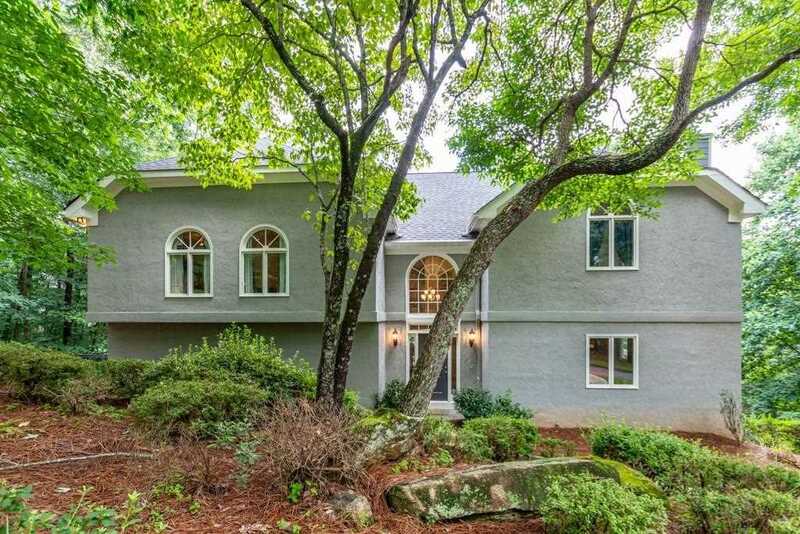 Home for sale at 420 Watergate Way Roswell, GA 30076. Description: The property at 420 Watergate Way Roswell, GA 30076 with the MLS Number 6127748 is currently listed at $525,000 and has been on the Roswell market for 77 days. You are viewing the FMLS property details of the home for sale at 420 Watergate Way Roswell, GA 30076, which is located in the Martins Landing subdivision, includes 5 bedrooms, 4 bathrooms, and has approximately 3992 sq.ft. of living area.